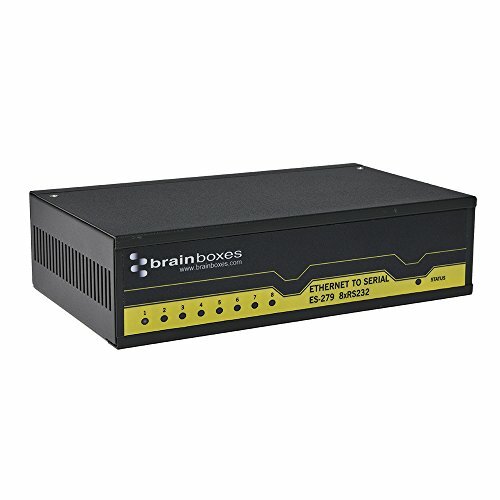 Ethernet Serial device server. 8 x 9 Pin Male D. Max Baud 230,400. 2048 byte FIFO. Instant networked serial ports. Web interface for secure configuration & control over a local network or internet. Retain existing apps with Windows COM port drivers.